missing from your list: them girly cartoons for girls, a.k.a. Shōjo. Shōjo? But that’s for girls! ...is probably what you’re expecting me to say, but my resistance to shōjo runs deeper than a gender discrepancy. You know what it is that I can’t stand about shōjo? The feelings. The wistfulness. The improbable scenarios. I’ve always believed shōjo to be nothing more than sugary escapism, and I still believe that to be the case for most shōjo titles. But mostly, it’s the feelings I can’t stand. 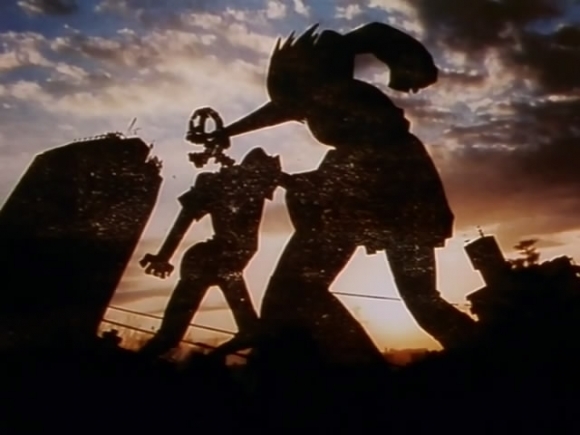 His and Her Circumstances , or KareKano (short for Kareshi Kanojo no Jijou in the original Japanese) is an adaptation of a shōjo manga by Masami Tsuda. Jointly produced in the late-nineties by Gainax and J.C. Staff with directorial duties shared between Hideaki Anno and Kazuya Tsurumaki, KareKano is probably most known for its beleaguered production and One More Thing I’ll make a passing mention of later on. In KareKano , high school freshman Yukino Miyazawa is at the top of her class until she encounters Soichiro Arima. Miyazawa’s one-sided rivalry quickly gives way to feelings of love that culminate in a wordless confession scene, all this that takes most other romances fifty or more episodes to resolve KareKano does in four. For what it’s worth, the show doesn’t waste the viewers’ time with spineless teenagers dancing around their real feelings. For what it’s worth, the show doesn’t waste the viewers’ time with spineless teenagers dancing around their real feelings. For a little while, KareKano is extremely promising. 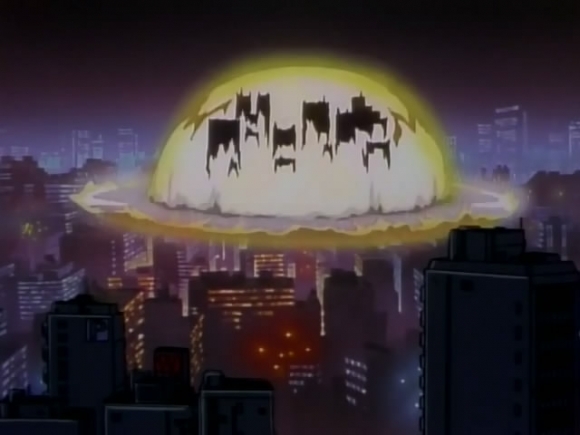 Anno’s touch is all over this show, closer in style to his live-action film Love & Pop than his familiar Gainax works. I want to say that it’s because of the Anno factor that the seemingly flawless main characters successfully walk that thin line between loathsome and sympathetic, but like with all shows based on manga I haven't read, I’m unsure of how much credit is due to the original author for the characterization. As much as I want to hate the beautiful, intelligent, athletic, and charming couple, key moments of character introspection set to slideshows of power lines and a Shiro Sagisu soundtrack kept me more than a little interested to see where the show would go. The first six episodes are a solid mix of comedy and drama that, while not entirely believable for a realistic take on adolescent romance, filled me with enough misguided nostalgia for Old Gainax to think this might be the one shōjo title to turn me around to the genre. Then the budget runs dry. New characters are introduced and the developing romance between Miyazawa and Arima is sidelined in favor of subplots that just don’t compare to the main story. At some point or another, Anno walks away from the project, and while KareKano doesn’t immediately sink, the focus is lost and the show no longer resounds as strongly as those first episodes. 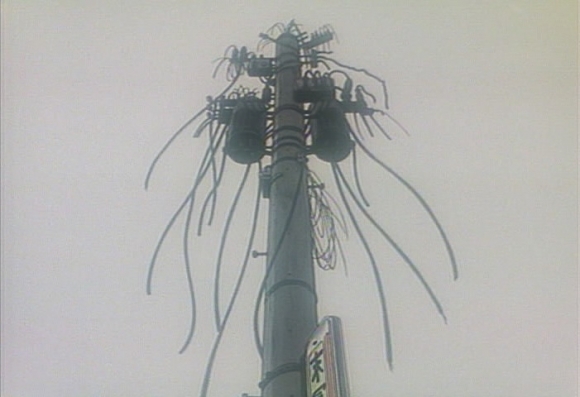 As ingenious as episode 19 is, it’s the last burst of steam from KareKano before pathetically sputtering out, unable to resolve its final arc. Even after Arima takes Miyazawa’s hat, even after Miyazawa and Arima confront their own shortcomings and personal traumas, the tension that would have given some weight to these scenes has long dissipated. The end of KareKano stands as one of the most disappointing things I've had the displeasure of sitting through, and this is coming from someone who loves the original TV ending of Evangelion . My less-than-glowing review aside, my Secret Santa recommendations were meant to introduce me to a side of anime I've mostly ignored, right? Well, if exposure was the end goal, it worked, but if I've taken anything from the experience, it's that I was right about everything, especially the feelings. I haven't a romantic bone in my body, so watching other people pursue their own hapiness is like being the only one without a date on a night out with friends. The way I see it, by suffering through one awful night, it means I'm vindicated for life, so what's the harm of experiencing acute loneliness for a few hours if it means I can reasonably refuse every time I'm asked to do it again? I hate to admit it, but I can't seem to avoid learning something new about myself and gaining a new perspective on life every time I watch an Anno-directed anime. It's about to get weird real quick if I keep going so I'll spare you my own drama, though you shōjo lovers seem to like drama anyway. But you know what? I’m not really that upset. 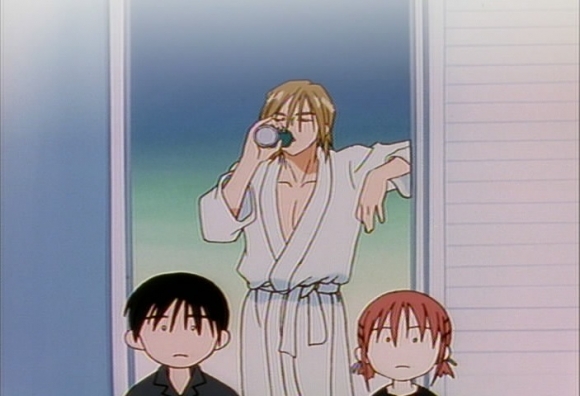 I'm damn near thankful for the time I spent watching KareKano . I hate to admit it, but I can't seem to avoid learning something new about myself and gaining a new perspective on life every time I watch an Anno-directed anime. I've learned that I really am a selfish person for being upset when other people are happy, I really did screw up my high school years by waiting for real life to come to me instead of chasing after it, and I really do waste too much of my time watching anime. Without realizing it, I've become one unironic dakimakura purchase away from being completely irredeemable. But I think I finally get it now. Being unable to live vicariously through the fictional characters behind the screen, I don't have to sit here and pity myself as I watch others live a better life than I have. If Evangelion was the anime that ruined my life, then KareKano is the one that has given me a gentle push in the right direction towards a better way of living. This review is based on Evan&apos;s DVDs and suffering through Hulu streaming.